A popular summer tradition in Portland, Maine, could be in peril. The Stars and Stripes Spectacular fireworks show in Portland, Maine, is in serious trouble. The annual Fourth of July celebration on the Eastern Promenade, which draws 50,000 spectators, is on the verge of being cancelled due to a lack of corporate sponsors and funding. "It's very unfortunate," said Tim Reardon, spokesperson for July 4th Portland, the non-profit group behind the Stars and Stripes Spectacular. Reardon said they need to raise about $70,000 in the next few weeks — or else they will not be able to put on the event. In April, the group announced it could not afford to hire the Portland Symphony Orchestra to perform, due to a lack of funds. 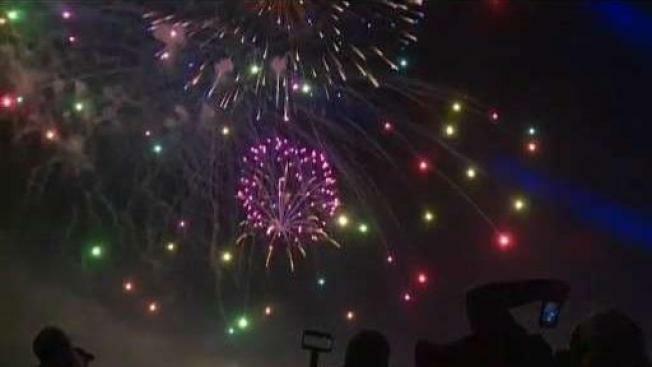 This week, Portland Mayor Ethan Strimling asked the city's finance committee to reconsider a line in the budget to give the Stars and Stripes Spectacular $35,000 to pay for fireworks. "There's a lot of conversation about cutting the school budget, and if we're going to have to make choices between cutting teachers and fireworks, I'm going to land on the side of making sure our kids have teachers," said Strimling. Reardon said every year, sponsors have dropped out and expenses has gone up. Strimilng said he recently learned the city had been quietly subsidizing the event, and spent about $100,000 over the last few years. He is asking city staff for a review of the expenditures. "Maybe there is a scaled down version of [The Stars and Stripes Spectacular] the community is willing to support," said Strimling. He said he hopes another group, such as the Chamber of Commerce, can step in and save the event. "It would be a shame," Portland resident Lynne Marzilli said of a potential cancellation. "It's a wonderful event, and it brings together a lot of people to celebrate a significant thing."